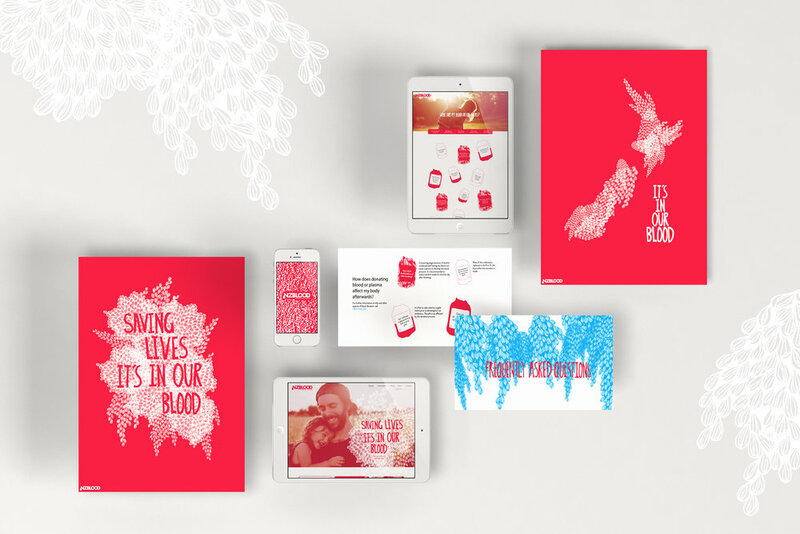 'One drop at a time' is a conceptual rebrand for the New Zealand Blood Service, driven by need to attract younger donors. 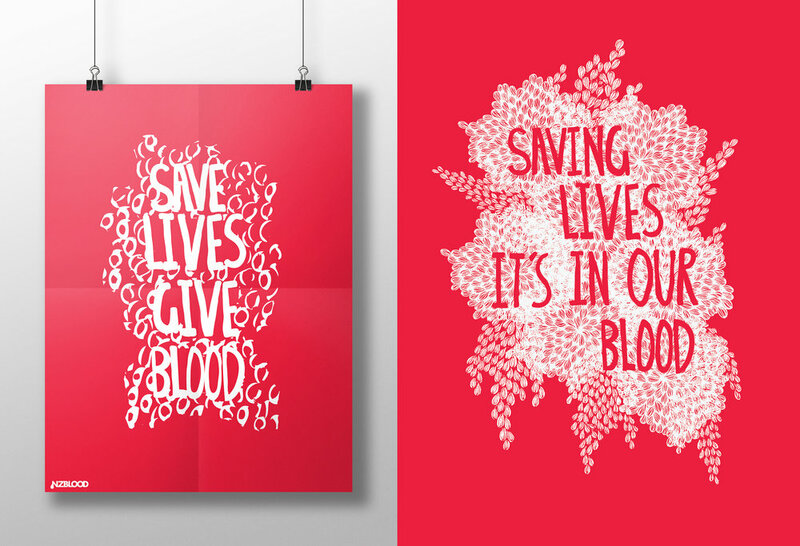 The rebrand introduces a fresh, bright aesthetic that utilizes hand drawn illustrations and type in combination with portrait photography to emphasize the personal, intimate experience of giving blood and the connection it creates between people. Assets included a website, mobile app and marketing material.